My paternal grandmother, Geraldine, made awesome pie crust. 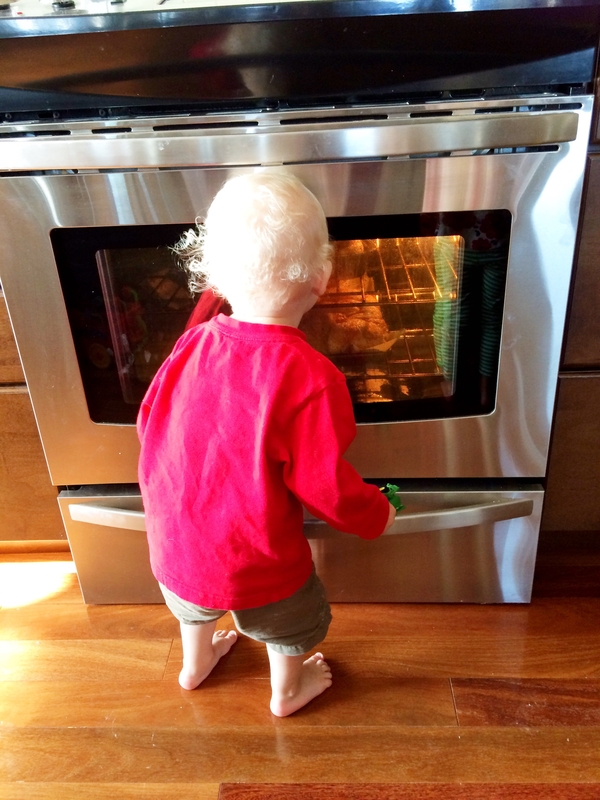 The grandchildren would dance around for the little cookies she made with dough scraps, jockeying for position to score the first one out of the oven, gladly accepting the trade-off of burned little hands and tongues. My mom makes great pies. Lemon meringue, apple, and her world-famous pecan are only a few. But her crusts come from the supermarket’s refrigerated section. I always assumed that I didn’t have the patience to make crust from scratch, so on the infrequent occasions that I needed pastry, I used pre-made. But as I learned to cook, pie became my secret shame. There’s nothing wrong with using pre-made, but not knowing how to make pastry was a hit to my ego, and a milestone I should have already passed. Then I saw Melissa D’Arabian, a TV chef I admire greatly, make pastry dough on Food Network. It looked do-able. A French master baker/chef said that her crust was just as good as he could do. So I tried and it worked like a charm. I’ve made it probably 100 times since then and never had any problems. It works great for single and double crust pies, and the hand pies that come from her dough are so pretty and tasty, I feel like I should pay someone for such glorious eats. Put the butter, flour, and salt in the food processor, and pulse lightly just until the mixture resembles wet sand. Add vodka then water, 1 tablespoon at a time, pulsing briefly after each spoonful. Keep adding liquid until the dough just begins to gather into larger clumps. Pour dough onto flat surface and lightly knead just until it comes together. Divide dough in half and transfer into re-sealable plastic bags and pat into disks. Let rest in refrigerator for 30 minutes. Or freeze for later. Before baking, chill formed dough for 30-60 minutes. Bake at 425 degrees until golden, timing depends on size and shape of product. Chicken pies that I made with homemade magic crust. I add vodka to lower the chances gluten developing. Gluten is the protein that makes bread dough stretchy. It also makes for a disappointingly chewy pie crust. The secret of a light flaky crust is to stop kneading the second you can press a portion of dough in your fist and it keeps its shape. And you want the crust to be cold when it hits the hot oven. This accomplishes two things. The butter will melt all at once, and the steam that is produced will create little air pockets, which contributes to a flaky mouth-feel. And there will be very little shrinkage, so the pie crust won’t retreat down the sides of the pie pan. The kids rode around the neighborhood on my old pastry dough. I have, in the distant past, produced pastry dough that was so overworked and tough the only thing it was good for was the sole of a tennis shoe or a pencil eraser. So I can’t emphasize strongly enough how shocked and delighted I was the first time I made tender, flaky pie dough. And I owe it all to my cooking crush Melissa. I figured if it was her procedure, there’s no way I could fail. Melissa D’Arabian, America’s kitchen sweetheart.